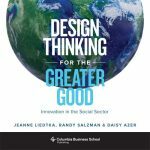 As far as I know, Design Thinking for the Greater Good is the only book that focuses on design thinking for social change. 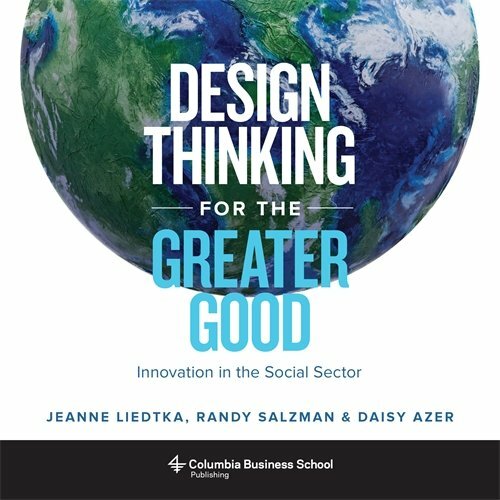 The authors, Jeanne Liedtka, Randy Salzman and Daisy Azer, have combined the theory of design thinking with a remarkable gathering of case studies. And it’s a combination that makes sense. In facing challenges both obviously large (fighting hunger and poverty, encouraging sustainability) and seemingly smaller (getting invoices paid on time, increasing blood donations, decreasing hospital patient stays), social sector innovations are deciding that design thinking has the potential to bring something new to the conversation. They are bringing together people who want to solve a tough problem—not hold another meeting—in a world where forming a committee can be seen to count as action. The heart of the book is storytelling, how a dozen organizations from Ireland to Australia and South Texas used design thinking to grapple with and address a variety of “wicked problems.” And these tough, complex social challenges that connect with other tough challenges are perhaps best addressed with this approach. In the Texas Coastal Bend of Texas, a diverse, creative group was charged with helping low-income employees in this rural, heavily Spanish-speaking area get to low-paying jobs, which were primarily an hour-and-a-half away in Corpus Christi. Community Transportation Association of America put together these groups to try to address how you help low-income people get to low-paying jobs. This group kept saying, “There’s no way we can generate the clientele for a bus or transit service from these small towns to Corpus Christi.” Then out of the blue one of them asked, “Are we sure we have to take low-income people just to low-paying jobs?” They look at their charge and the CTAA had made it nebulous enough that they could adapt. So they could deal with a different problem today and come back to deal with the low-income to low-paying jobs problem. So across the summer used their charge to take high school kids from several schools to a police and fire academy at Del Mar College in Corpus Christi to learn how to be firefighters and policemen. It was a summer camp for these kids. Then they said, “We have an idea, we’re making a change. Let’s adapt and communicate that idea.” They got local newspapers and radio stations to understand that these kids enjoyed it and that it was setting them up for the future, and to see how far-sighted the fire and police chiefs were to say, “Okay, I’ll put up a little money to get these kids to the academy.” They promoted the graduation ceremony. They did everything brilliantly with the idea that they’re going to come back to helping low-income employees, because now they had a donated bus to take these kids every day in the summer. It was a long drive, but they solved all the problems, and that led the district to expand the program to more high schools and then to go after two federal grants to do a daily run all year. So, now a daily bus collects at high schools and goes not just to Del Mar College, but to other places in Corpus Christi. They’re getting the low-income people to the low-paying jobs more successfully. Now there’s less turnover because if you’re low-income, you’ve probably got a crappy car and it will break down. If you’re taking three or four people in a carpool, there’s three or four jobs on the line. Now there are busses that do this. While Design-Thinking for the Greater Good is the “why”—why an organization should consider adding design-thinking to their problem-solving toolkits a second book, Designing for Growth Field Book, is the how-to.